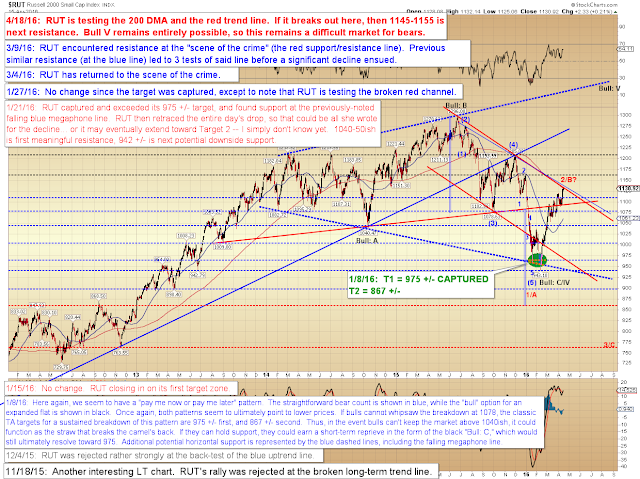 The biggest concern I have for bears is the stair-step pattern that RUT just went through. 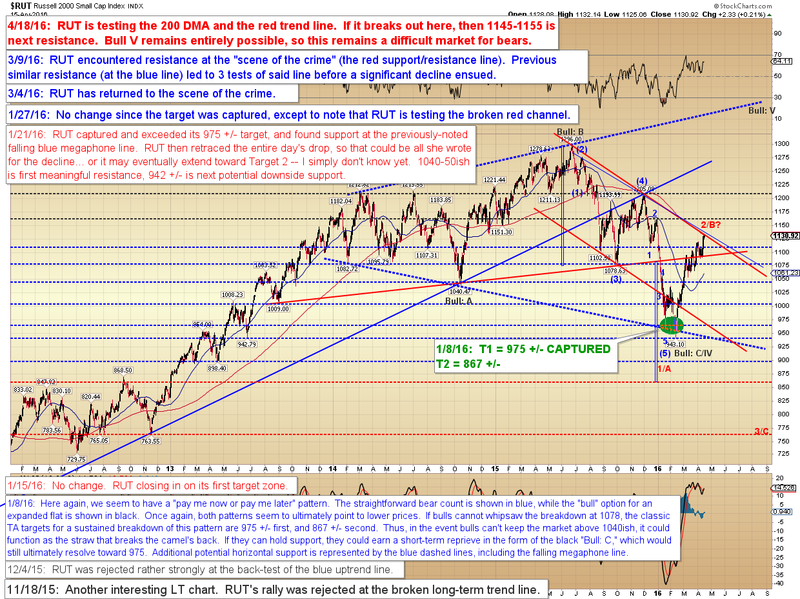 There's still a shot that pattern is a terminal, but it could instead be a coiling pattern. 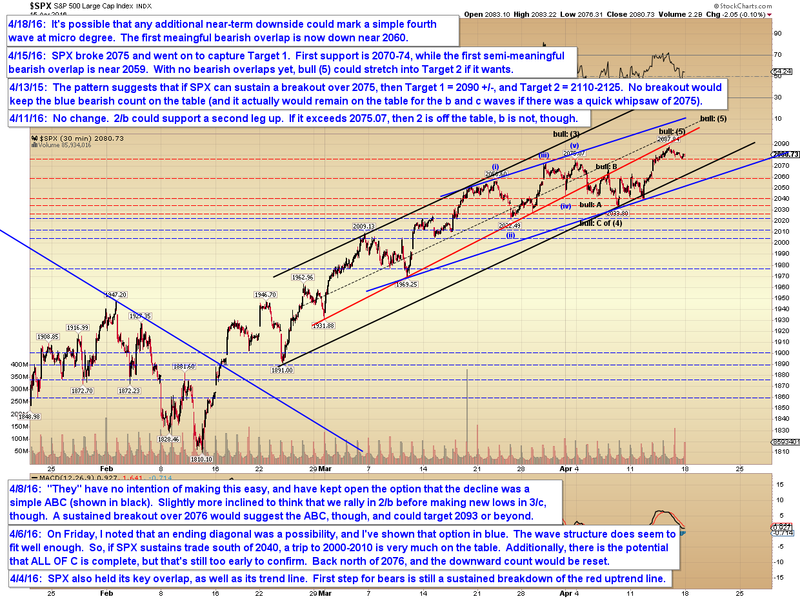 We won't know for certain until it moves a bit farther, but just be aware that if it's a coiling pattern, a breakout could take aim at the 1194-1206 zone. In conclusion, this remains a difficult market to chart, and frankly, it's always something of a drag dealing with these waves that seem driven more by central banks than by actual humans. (Not that I'm suggesting for one minute that central bankers aren't human -- wait, scratch that.) 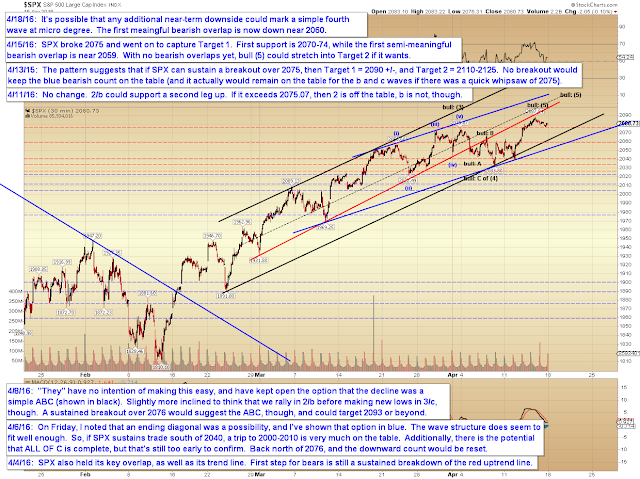 Thus far, the small handful of semi-promising bear moves have each ultimately stalled at three waves down, and then culminated in new highs -- so at this point, it gets difficult to say anything other than, "Well, it's still an uptrend!" 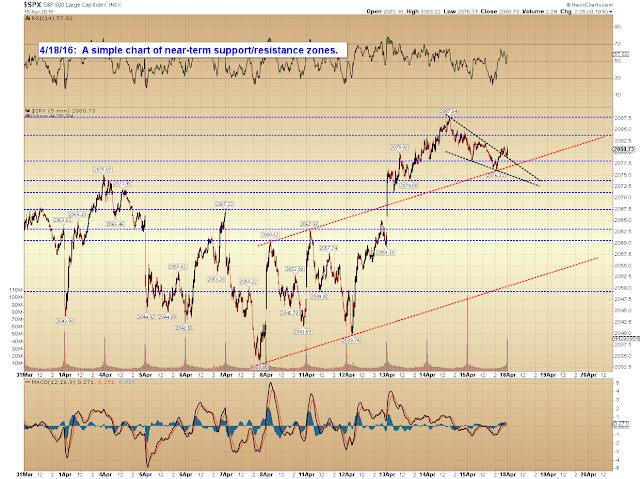 As noted, though RUT is testing intermediate resistance. 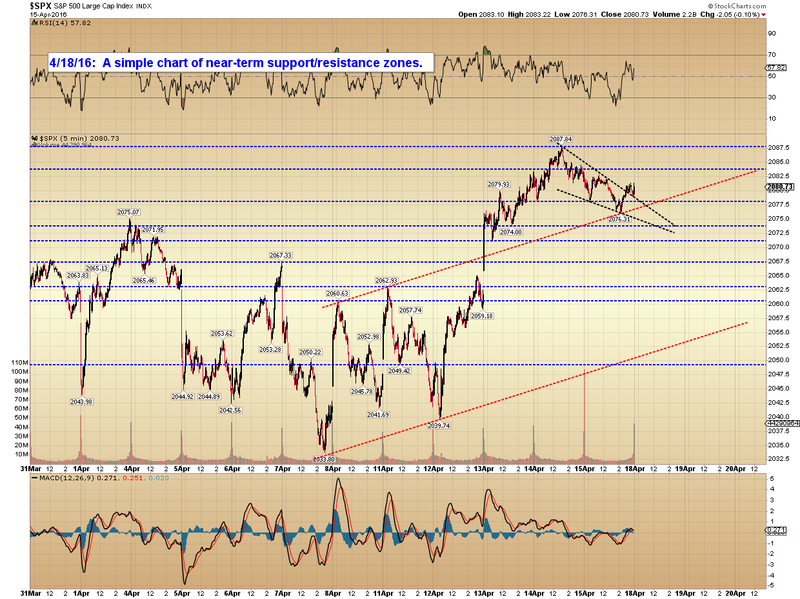 On SPX, the first semi-meaningful zone for bears to claim in 2060. Trade safe.